Skateboarding is a popular pastime amongst the youth of Maine during the warmer months. Maine has an abundance of skate parks regularly populated by skaters looking to brush up on their skills. And when it comes time to buy a new board of grab some more gear? Check out the best skate shops in the state. Long’s Board Shop is South Portland’s only independent skateboard and snowboard shop providing only the best gear for skaters, boarders, and their families. Their new location on Clark’s Pond Parkway provides them with ample space and modern facilities to help you with all your skateboarding needs. The shop is run by a skateboarding family so you know you’re getting help from the best. The Bath Skate Park Center is not only Maine’s largest indoor skatepark with over 6,000 square-feet, but it has an in-house skate shop selling and servicing all your needs from decks, wheels, trucks, and all the accessories. Backwoods is run by a team of snowboard and skateboard experts since 2005. From day one their focus has been to give their customers the best experience possible. Backwoods has everything you need to get you skateboarding whether you’re a total newbie or skateboard champion. They have dozens of brands in stock with the knowledge and experience to help you select the best board for you. Zumiez is a chain retailer with locations in South Portland, Bangor, and Kittery. It carries all the trendy, brand-name clothing and shoes that every skateboard wants. 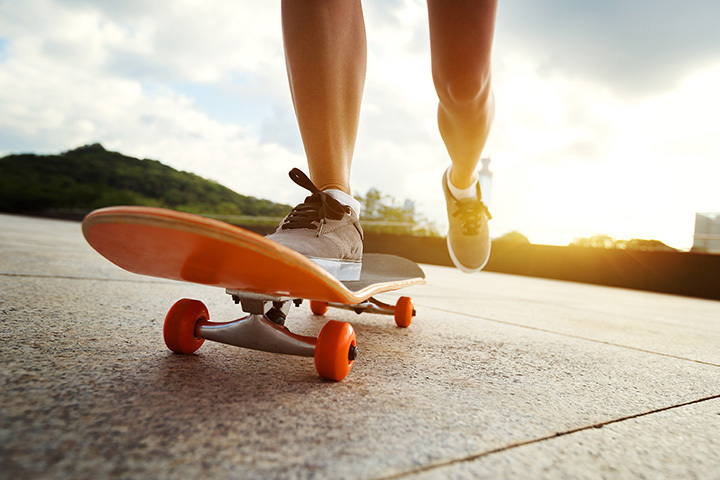 Plus, they carry a wide range of skateboards and longboards with all the parts and accessories that you need. Operating in the Ocean Tripp Inn, Mocean Surf and Skate Shop is the skate and surf shop for all your road and water needs in Old Orchard Beach. The shop has been serving the OOB community since 2000. Stop by for a skateboard and leave with a surf lesson, too!